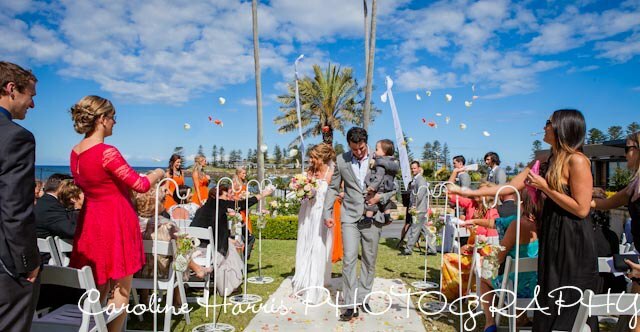 What a beautiful day for a lovely couple. 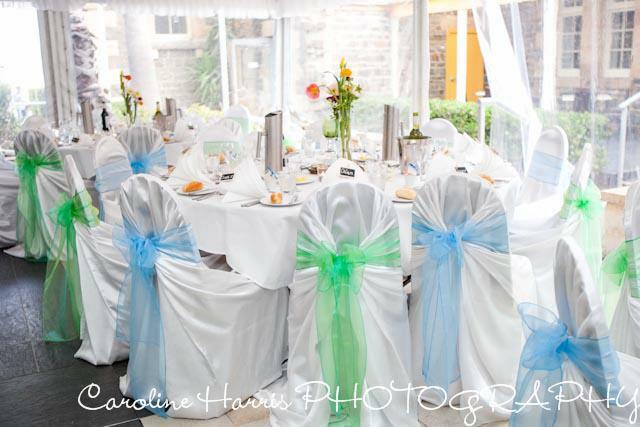 Our styling theme for this wedding was blue and green with touches of orange for a sorbet/spring theme. 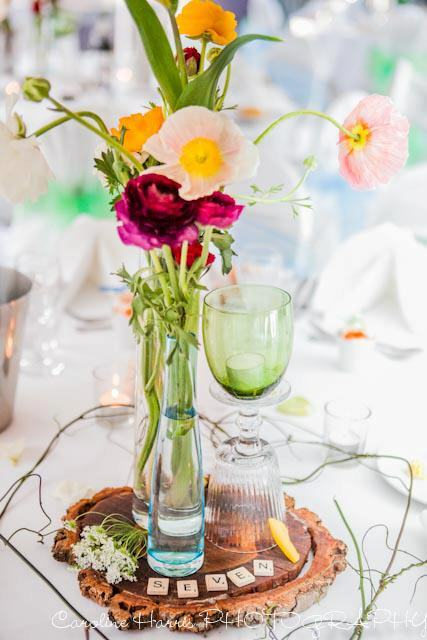 The centrepieces consisted of a rustic wood round, topped with one main vase, a blue tinted bud vase and an upside town quirky wine glass topped with a cute green tinted tealight holder. 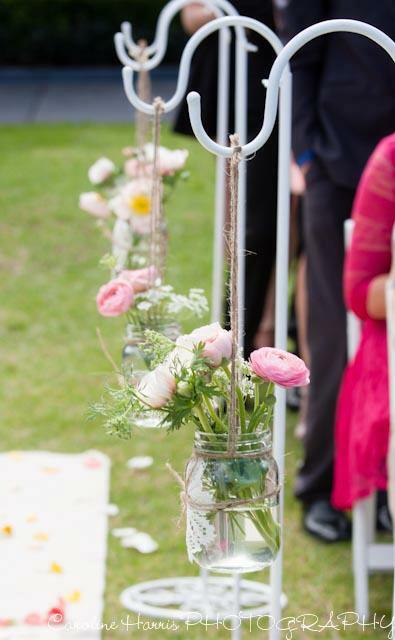 I filled the vases with a mix of poppys, ranunculus and other colourful flowers whilst weaving dodder vine around the outside of the wood. 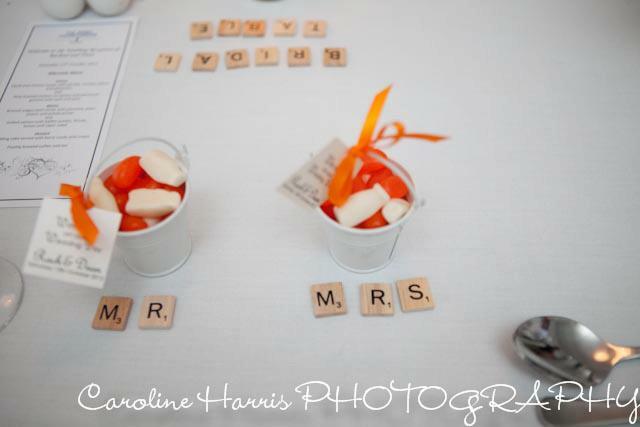 Finishing off with a scattering of tealight candles in holders around the table. 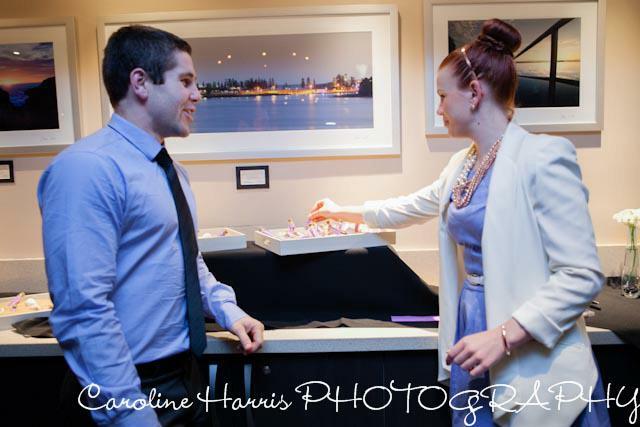 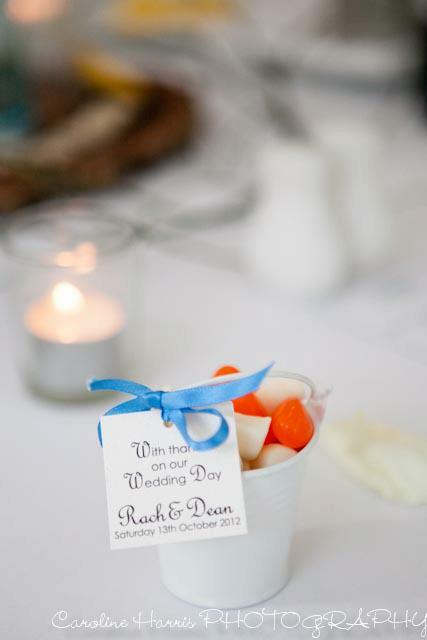 Each guest received a sweet white pail filled with orange jelly beans and milk bottles as their favour tied with a tag. 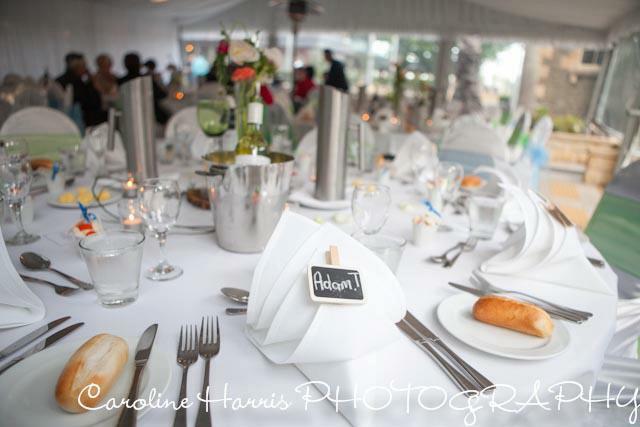 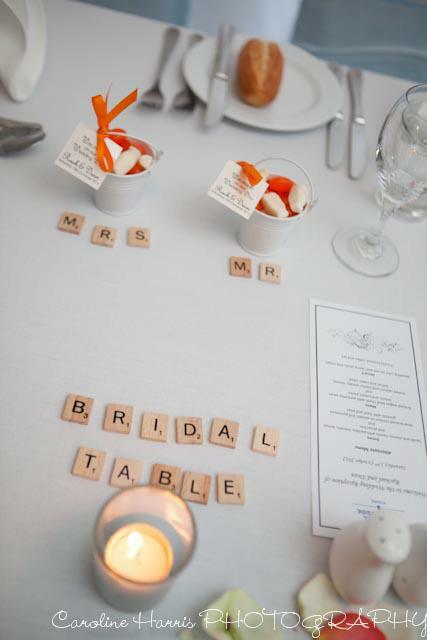 The table numbers I did as scrabble pieces for a quirky edge! 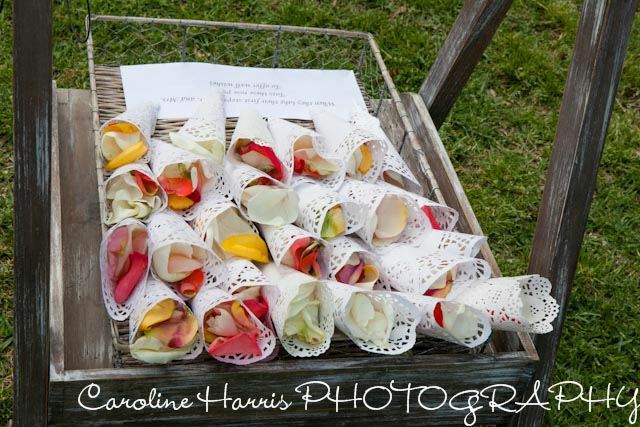 Rose petals in fresh spring colours with tealights scattered the bridal table. 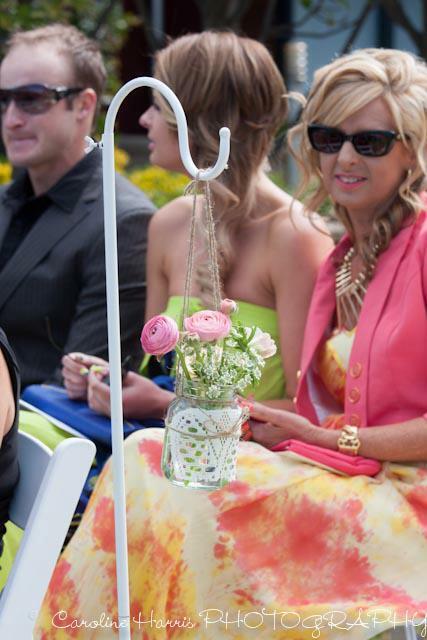 The wishing well was a cream present box tied with ribbon. 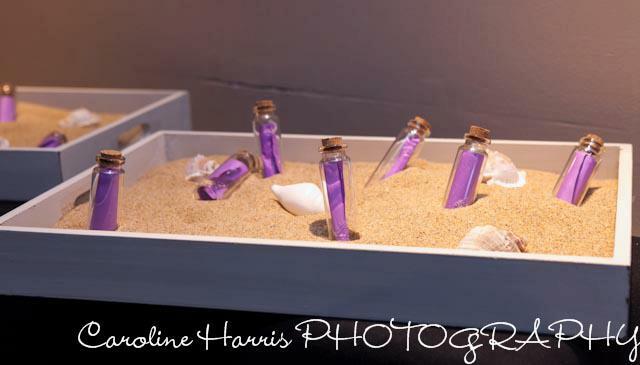 We did a unique take on a guest book by having a ‘message in the bottle’ theme to tie in with the bride’s love of the beach and as the venue is by the ocean. 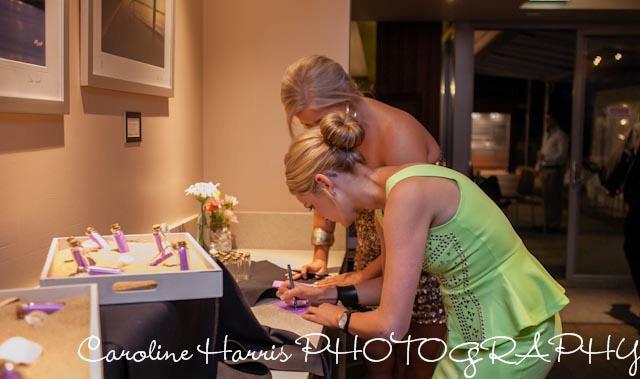 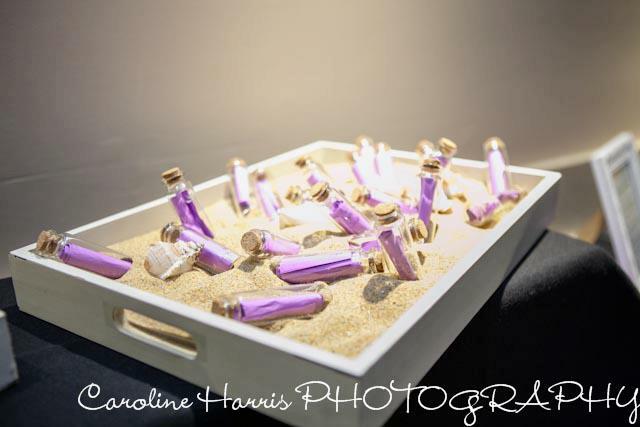 For this guests wrote on paper, tied with a band and popped in cute glass bottles and into cream boxes filled with sand that were displayed along a bench, Shells were scattered in the sand. 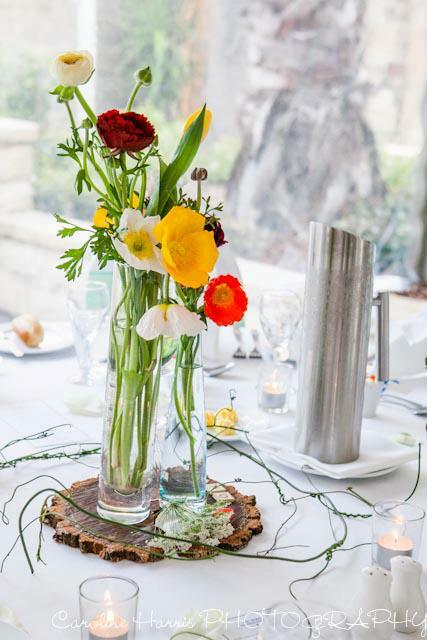 I placed vases scattered around the other tables, filled with flowers. 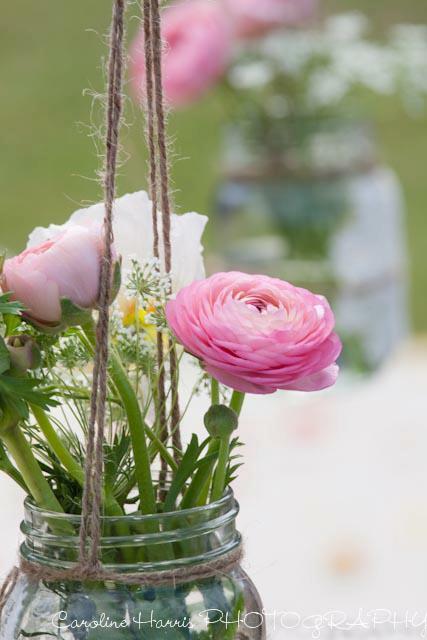 For the ceremony, we scattered fragrant rose petals along the aisle for the bride to walk down, from cream shepherd hooks, hung cute doily wrapped mason jars filled with pretty flowers. 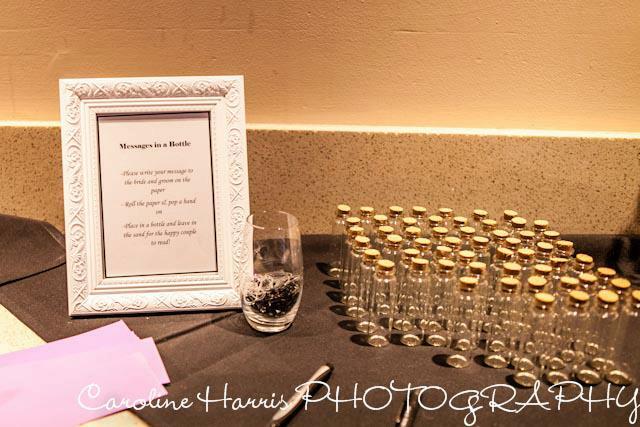 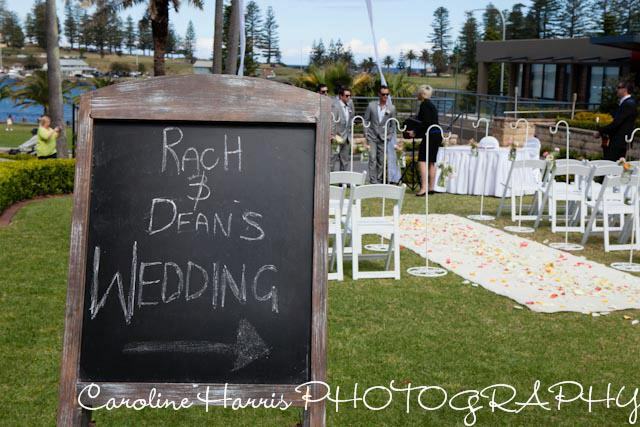 Our chalkboard stand for hire directed guests to the ceremony and we also made doily cones filled with rose petals for friends and family to ‘shower the bride and groom with as they walked back down the aisle.